Are you proud of what you sell? The reason I ask is because so many people are not. Now the reason that’s important is because you’re going to find it difficult to muster up some bravado, some knowledge, and some interest in your product if, you’re not proud of it. Lots and lots of people are not proud of what they sell because they phone me up at certain times of the day from all over the world. They ask me if my name is someone else who quite obviously own the phone number I have at home before me? When I say, no that’s not me, they say, well anyway, and they try and sell me whatever it was they bought the list based on the other person’s demographic form. They don’t care. They’re not proud. When I mention you’re working for a company that does not comply with the laws because I’ve de-listed my number from marketing phone calls, and also buys bad list. I don’t care. They just carry on because they’ve no interest. They’re not going to be proud. Now I, in my business, sell fire extinguishers, smoke alarms, intumescent products, fire retardant sprays, safety signs, microphones. I sell all of that stuff. We have the option to buy cheaper products. Products that probably do the same job. However, I’m sure that word comes up at a every single podcast at least once. However, I want to be proud of what I sell. I sell quality. Now we are still very big in our industry. We are the largest online fire safety business in the UK. We have big buying power. We can buy pretty much what we want. But that also attracts others to offer things to us. But quality isn’t. Some of these suppliers will say, I know you’re buying that, but this is 20% cheaper, and they really don’t get it when we say, no sorry, just not interested. Then they’ll say, but you can sell it for— you can either make more money selling, make a bigger margin, or you can sell it for less and get more sells, and still, nope, not interested. I have ethics and morals. Yes, even though I sell online. It’s possible my friends, to have ethics and morals and sell online at the same time. Yes, but because of that, when someone buys something from me because I have recommended it to them, I want it to work. I want it to be fit for purpose. I want to be able to sleep safe and sound in my bed, knowing that I’ve protected someone’s life. Obviously, that makes my products sound a bit more serious than others but it does not matter what they are. The same with my marketing, same with the things I tell you. Like this. I regard this as serious. I love telling you this stuff because to me this is kind of obvious. But it simply isn’t to others, judging by what I bought and the way they are when they try and sell it. I don’t care. I want you to love your product. Now here’s a funny story. Many years ago, I was at a conference, and I actually asked a question. I had a website just selling safety signs, and I asked to the expert at the front, “If it’s possible to sell a product that’s not interesting.” I described my own product as a boring product. They didn’t take the time to ask me anymore information but he went off on one, because he said you cannot sell anything you’re not passionate about. If I think it’s boring, I should pack that in and stop selling it straight away. He didn’t actually get the jist of what I was talking about because he didn’t want to take the time. But, and he did actually start swearing, and it’s quite a funny episode because some famous, some well known internet marketers were in the room at the time, and still the story still goes around because it’s utterly shocking. When you’re in a workshop, and you’re standing up on a microphone, you do not expect the person at the front to rant and rave and swear, or cuss at you directly. It was funny. I believe he got fired, and then he possibly got better— it’s a laugh. But importantly, he got it right. He said, “you should be passionate and interested.” I might think I’m passionate and interested in everything that I do. I just had a specific question about that. But in this marketing, everything I teach in a podcast, everything we write about online, I desperately want. Anyone who reads or listens, or watches anything I put out to have learned something and be better informed. At the end and, than when they started. That includes you, my friend. Absolutely includes you. I am proud of this. I don’t want anyone to be saying,” hmmm, its rubbish you just copied that from everyone else.” I want to know that I helped. Get it? Try it. It works. I think I said that before. It’s Thursday and time for a podcast recommendation. 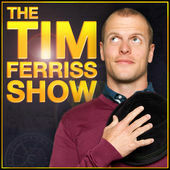 Today, I want you to go and have a listen to the Tim Ferriss Show. If you have not heard of Tim Ferriss, can I ask you, where have you been? We have recommended him here before, especially his book, The 4 Hour Work Week. He describes himself as a human guinea pig, but his podcast is different that most of the other podcasts I recommend, because quite often they are longer. I have met Tim and let me tell you, he is a genius. His podcasts sometimes go on for 3 hours, and guess what? People listen for the whole time. Tim has one of the most popular podcasts in the world. He always covers the top subjects and has great guests on because he is a leader in those subjects. So go and follow him, look him up, follow him on Periscope and listen to what he teaches. He is good. 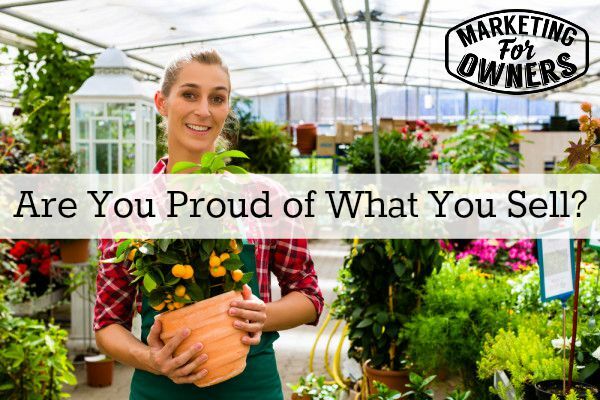 So are you proud of what you sell?